Modernizing machines and equipment made easy. Control and monitor your system via your smartphone or desktop browser. Use the μWebGenerator or let us create a web application adapted to your needs. Today, users expect a website for control and setup for each machine or system. 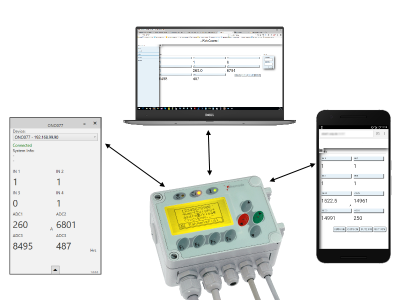 ELZET80 µWebControl offers an interface to HTTP communication that can be queried and operated not only by browsers, but also by smartphones, widgets, ERP systems, etc.. Supported by all µTasker boards and special solutions with Ethernet. μWebControl offers you an own HTTP communication interface that you can use in every μTasker project (with Ethernet). HTTP-GET requests of a special form are interpreted as commands and can be answered with any data. The Webhanlder checks whether the first character of the query corresponds to the predefined special character. If this is the case, the request is passed to the µWebControl main function fnHandleDynamicQuery. This function checks whether a callback function has been registered for the current request. If this is not the case, an empty response is sent. Internally, the "sysInfo" command is extracted and checked whether a callback function is registered for it. If a callback function is found, it is called and fills the response with the requested data (e.g., serial number, uptime, etc.). The above code checks if an HTTP request starts with a predefined special character (here '!'). The fnHandleDynamicQuery function is the main function of the μWebControl code. It checks whether a callback function is stored for the request. Two command arrays are defined in the dynamicContent.c file. The first array commands contains instructions that can be called without authentication, the second array authCommands contains commands that require authentication. The following function creates a page with the current states of the NET-3A4IO I/Os. The PC widget is a small tool that serves to monitor your system. The widget communicates with the hardware via the μWebControl interface, as well as the web page. 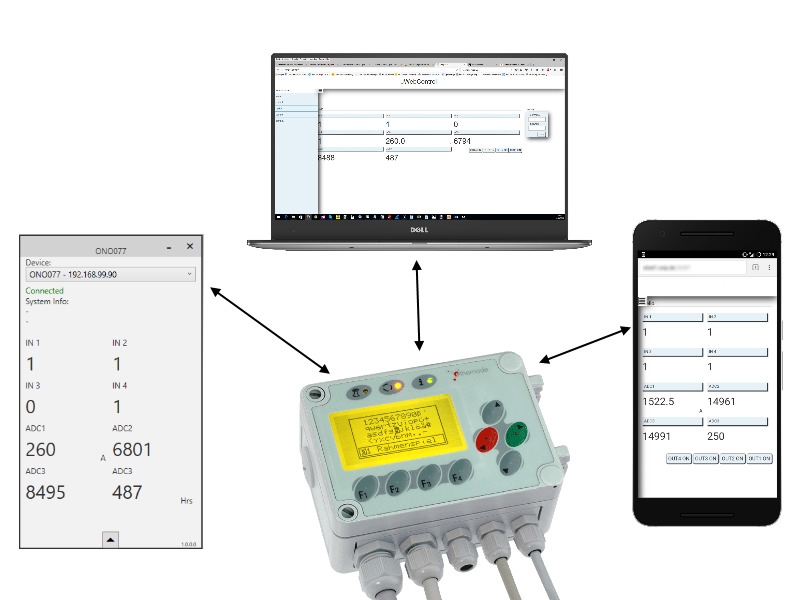 ELZET80 devices are automatically detected via the "Device Discovery" mechanism and, if the widget interface is supported, displayed in the selection list. The data to be mapped are defined in a structure in the μTasker program code. the variable in the C code whose value is mapped. Data type of the variable Important for signed/unsigned presentation. e.g. (unit_ampere | exp_deci) - > Unit: Ampere, Exponent: Deci (-1) Important for scaling the values ​​for the ad. The heading for the value displayed in the widget. VALUE objects are read-only values, so it is not necessary to specify limits (Min / Max).